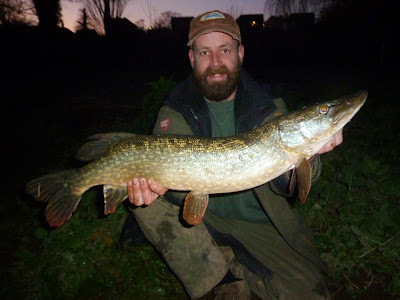 In the past few years the Christmas breaks have produced impossible fishing conditions, I normally venture back to my home-turf River Wye and watch as the fields and roads flood unable to even wet a line - torture! This year the water is back within the banks, the conditions are far from ideal with high levels and very unsettled conditions, but if I can get to it - I'm fishing it! 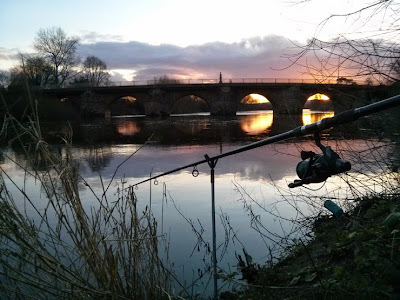 Christmas Eve: 8lb 8oz just as the sun was setting. 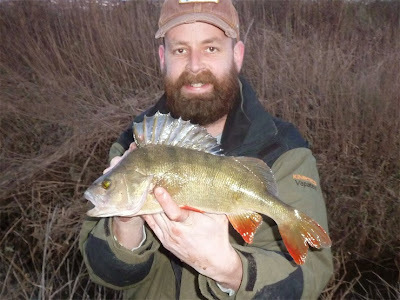 Christmas Day: 1lb 12oz perch, very quick afternoon session. 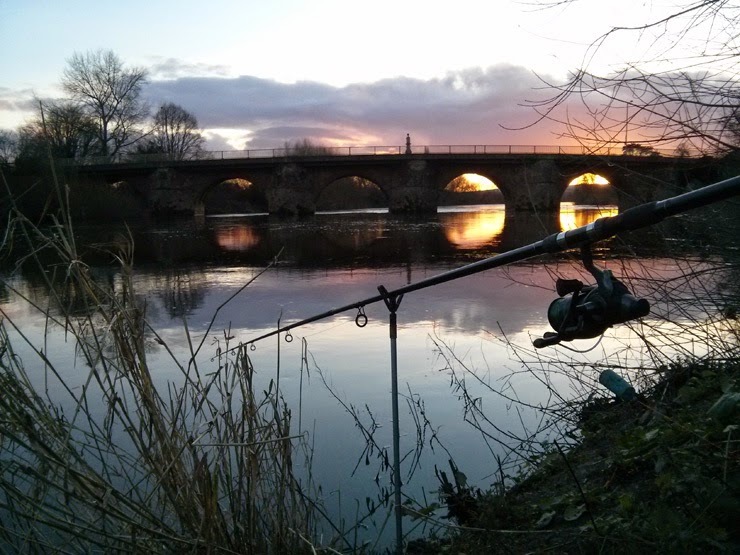 Boxing Day: 8lb 12oz, a few dropped runs and a hook pull. 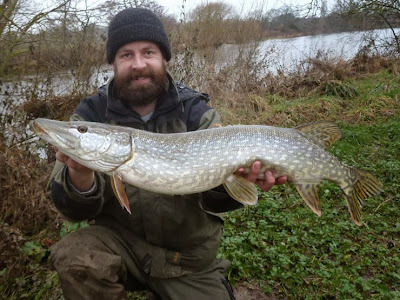 Well in mate, it's the beard, it has reached prime Pike thickness, you've had a decent batch of fish there, hoping a twenty does slip up!. good luck. Cheers. Got the beard, got the scruffy hat, just need the twenty! Did think i saw a bird in your beard the other day when i saw you, but i have to admit it's very impressive. Oh and well done on your pike. You should have said, been trying to catch that bird for a week or so now. Thanks. Cheers Jack, good to meet you too. 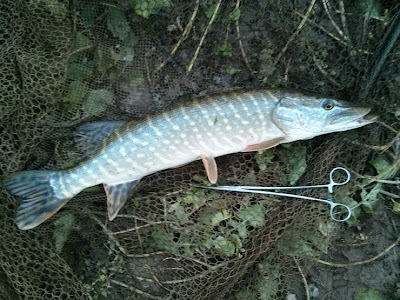 I haven't given the lures a blast yet, thought the water was too unsettled, probably give them a go later. 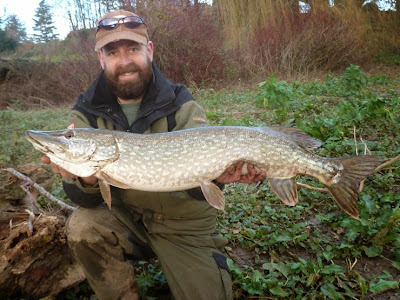 It is frustrating loosing them when they're so hard to find, my hook pull yesterday was a low double - still, we'll have to find some more. See you down there at some stage. 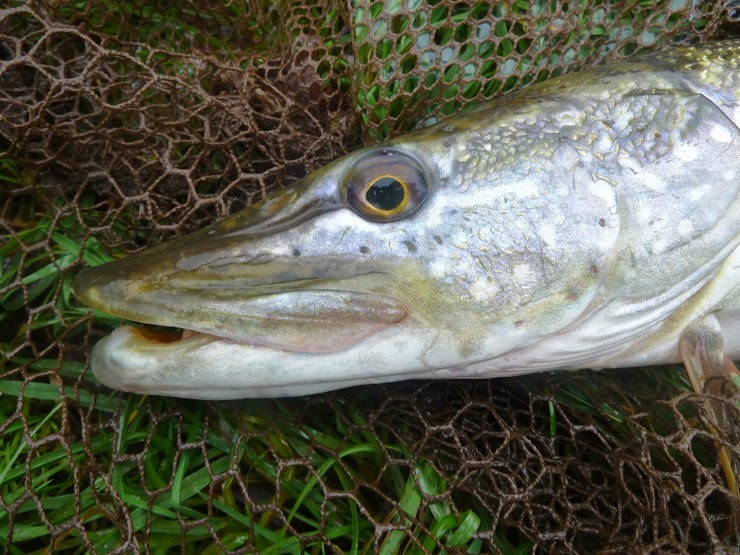 So is the Wye producing the way it should have when we hit in September? Any more today? Really unsettled, up and down every day, struggling to find feeding fish and I have a feeling the big girls are glued to the bottom. 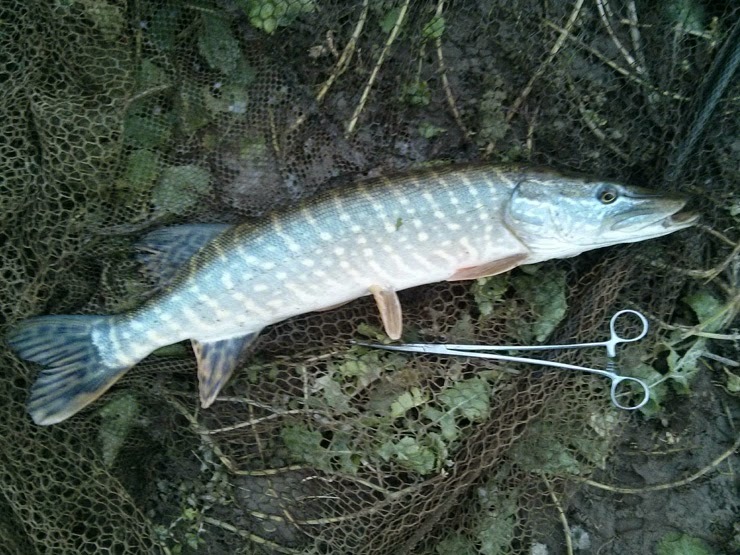 That said I have had a few, tough going though - but I can get to the river so I'm fishing it! Well in Brian, effort usually equals reward. Some lovely Wye pike there. I've not had one yet this season! Cheers Ben. It'll probably go off now I'm back in London! Well done Brian, the rivers are all over the place and what with the snow melt going in yesterday its a result to even get a run I think. Really hoping we get some better conditions before the season runs out... Just fishing for the odd run here and there at the moment.